Unknown men stormed the house of Chitungwiza North MDC MP Godfrey Sithole on Saturday evening close to midnight and abducted his young brother Kudakwashe Sithole as ransom. The state is continuing with crackdown on opposition leaders and civic society leaders who alleged to have incited citizens to engage in a violent protest. Former student leader Tererayi Obey Sithole said, "Honourable Godfrey Sithole's house has been destroyed this evening & his brother Kudakwashe has been taken away." Award winning journalist Hopewell Chin'ono confirmed the report. "The young man has just been abducted in Chitungwiza by unknown men who are looking for his brother who is the local Member of Parliament." Hopewell said. 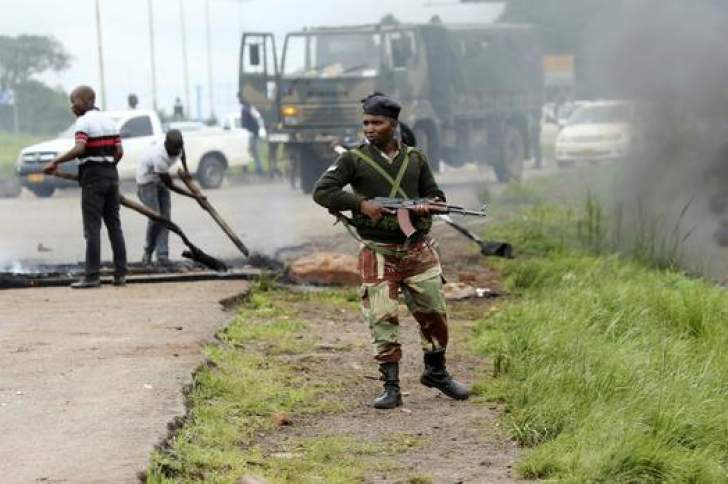 "The young man's name is Kudakwashe Sithole and his brother is Godfrey Sithole who is an MDC MP. "Family members including kids have fled their residence and are out in the streets terrified of what will happen to Kuda. The men have threatened to harm him if Godfrey does not present himself to them, in a telephone call to his sister using Kuda's phone. "I spoke to his mother who called me after finding my number on my Facebook page, she is terrified and crying. I have advised them to seek refugee at the nearest police station."